Our Philosophy at MCM is we're just "People Helping People"
care of adults for a broad range of health issues. and well-being is our main concern. At Media City Medical, our skilled specialists focus on what is best for our patients, whose comfort and well-being is our main concern. Always sensitive to patient needs, we take a proactive approach, not only with regard to the health issues our patients want us to address, but in working with them to help prevent future problems. And it all starts by attentive listening. All too often, doctors “listen” to their patients with one eye on the clock and the other on the door. We don’t work that way. Our emphasis is on empathetic listening and providing compassionate, quality care, not a quick hand-off to lab after lab for test after test. At MCM, we’re here for you. Simply stated, we’re just “People Helping People.” We share a strong belief in being partners in health, hoping to provide you with a roadmap to long term healthy living. We provide counseling and education which lends insight into what is now a dizzying array of information. Guidance is our mantra. Wellness is our objective. We’ll enable you with the tools to make informed educated decisions regarding your health. We practice preventive health, choosing to provide primary prevention before disease onset. We also provide chronic disease management, in-line with nationally recognized standards of care. You can expect a professional experience with a family atmosphere. You’ll feel at home with our friendly out-going staff that knows you by your first name. Excellence of care is what you should expect. Delivery of that expectation is our goal. We began our clinic in the heart of Burbank in 2002. Recently we moved our practice to our brand new, state of the art facility in downtown Burbank. We are conveniently located near the 5 freeway with easy access to on and off ramps. Our practice was an early adopter of electronic health records making our office both eco-friendly and efficient. You’ll enjoy our modern décor, set in a warm & friendly environment. 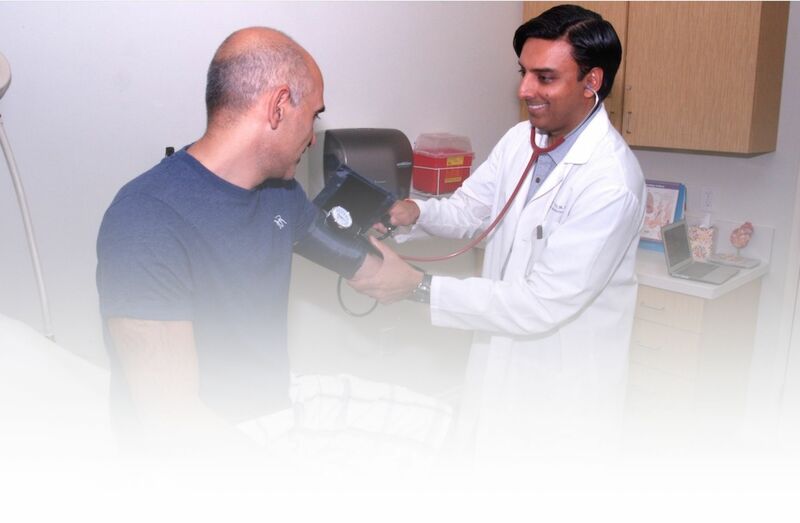 Our physician, Dr. Varu, is certified in the field of Internal Medicine by the American Board of Internal Medicine. Graduating from the Chicago Medical School, he returned to Southern California to train at the topnotch USC Internal Medicine Residency program where he honed his clinical skills. He’s been in practice since 2000 attaining a large volume of experience from clinical practice. Our hospital affiliate is Providence Saint Josephs located in Burbank. It has been nationally recognized as one of the most distinguished hospitals in clinical excellence. Dr. Varu has been on staff here since 2002, serving as Chief of Medicine from 2010 to 2012. Find out more about Dr. Varu and his staff here. Schedule your appointment today!!! We look forward to meeting you. Most major insurance plans accepted, including Medicare, Medi-Medi and Regal Medical Group plans. and Heritage Provider Network/Regal Medical Group.